Feet There are 8 products. 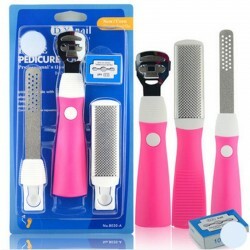 Professional pedicure tools set. Material: stainless steel, plastic. Size: see pictures. Flat foot arch support pads. Material: silicone. Size: 7.3 * 4.5 * 1.2cm. Quantity: 2 pcs. Electric shoe dryer, disinfector. 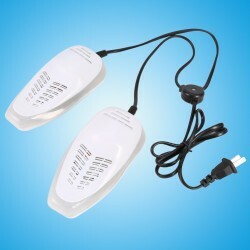 Temperature in shoes: 60 +/- 5 ° C Rated voltage: AC 220V 50Hz Rated input power: 14W Cable length: ~ 150cm. Size: 15 * 7cm. Please select a color. Soft, ultra light and comfortable to wear. Full long arch support. High resilient blue gel cushion provide extra protection. Great for jogging, running, climbing, basketball, football, cycling, golf, tennis etc. Please select a size.